This is guest blog by Sarah B studying BSc (Hons) Physiotherapy. I couldn’t believe what I was reading. 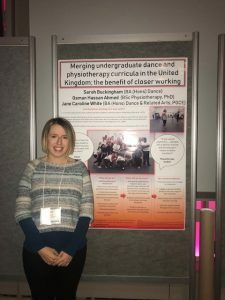 After submitting a collaborative abstract with my lecturers I had been invited to present a poster at the pinnacle conference of dance science medicine. As a final year Physiotherapy student at Bournemouth University (BU) and having previously obtained a bachelor honours degree in Dance, I jumped at the opportunity to collaborate with the first year dance students at Arts University Bournemouth (AUB). 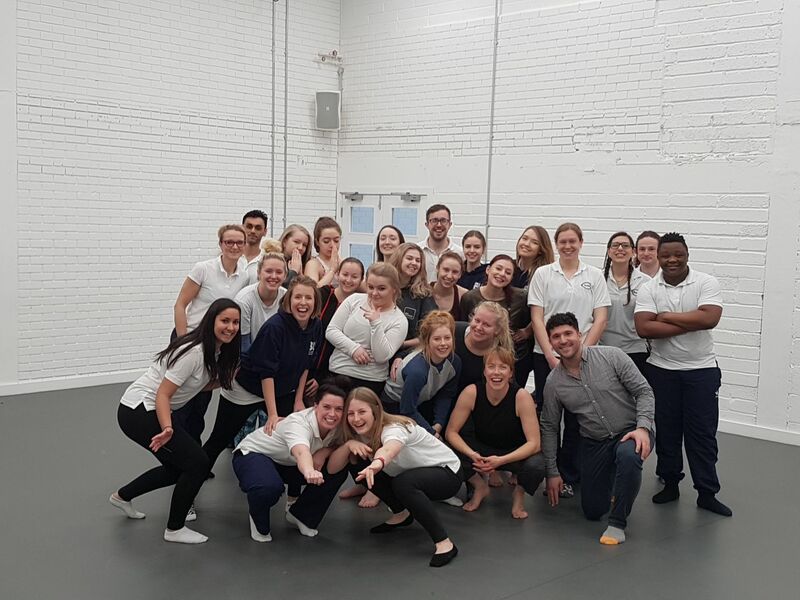 The physiotherapy and dance students were brought together to increase their understanding for the each others professionalism. Dancers have one the highest injury rates amongst professional athletes and they are frequent visitors of physiotherapists. We believe that introducing the relationship earlier we can begin to open up two way communication, familiarise students with unfamiliar terminology and begin to lay down the foundation of tailored treatment plans and injury prevention strategies. I worked closely with my physiotherapy lecturer, Osman Ahmed and AUB dance course lead, Jane white to produce the poster that demonstrated our idea or merging the two curriculums. I arrived at the conference, nervous, clutching onto my huge poster. 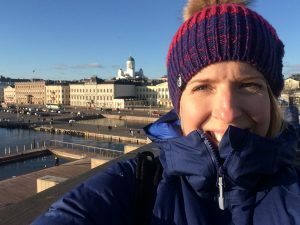 I was lucky enough to meet some really friendly students that felt just the way I did. I stood next to my poster awaiting for my turn to be quizzed by the professionals. The poster received some really positive feedback and the general consensus to our idea was that ‘it just made sense’. I was incredibly proud to receive such reassuring praise from some of the leading experts within the field.